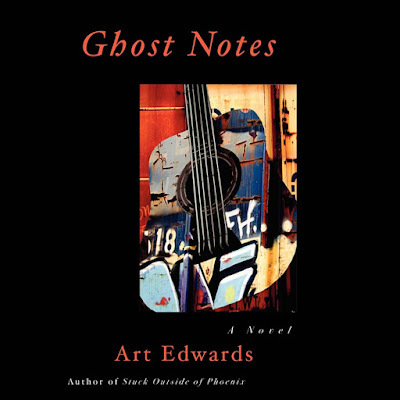 You can now buy the digital download of Ghost Notes the Audio Book at CDBaby. And please listen to "Incident," download it for free, and pass it on to friends and family. Hey, there's a new rock novel by a major player just released! It's called Juliet, Naked, and it's by Nick Hornby. This is the same Nick Hornby that brought us High Fidelity, the crown jewel of modern rock novels. I always like it when someone tackles this "genre." If you ask me, it's a shame Rock Lit doesn't have its own shelf at your local bookstore. What could be more natural for those of us who loved rock music than to curl up with a well-written novel about rock musicians? Always seemed like a good fit to me. Oh well. If nobody else wants it, I'll take it. Me and Nick Hornby, that is. I haven't read Juliet, Naked yet, but I did read High Fidelity, and I thought it hit on something essential about my era (1983-1998) of rock music fan, in particular, our need to create a hierarchy of our favorite bands or songs. I have a theory why we're compelled to rank our favorite bands like this. I think it has something to do with the power the music has over us, and it's our way of giving that power shape and order. If we can rank our favorite bands correctly, we can control them in a way that's satisfying, understand them in a way that we hadn't before. It's part of our identity, what these bands are to us, what order we place them in. Kind of like the Holy Trinity, but with guitars. Actually, I just thought up a few of those on the spot, but it was fun. What are your Top Three of All Time? Buy Ghost Notes, the novel or brand new audio book. If you hadn't guessed, I'm a little prudish when it comes to letting my work out into the world. For example, it took me a over a year from the time it was recorded to release "Incident". One 400-page novel, started in 2006 and revised like crazy since then. Demos of ten finished new songs, all written since Songs From Memory. 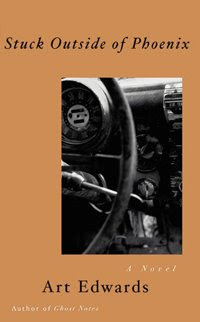 15,000 words of a non-fiction book, started years ago. Three short stories that either aren't ready, can't find homes, or both. A funny list I will send to McSweeney's Internet Tendency as soon as it's done. Scores of started projects that will never see the light of day. I imagine most writer/musician/artist-types have similar backlogs. The work is just never quite perfect, and in a world where everyone is some kind of artist, your work kind of has to be perfect. So, I'll sit on my pile a while longer, see what ages well and what starts smell, refine the good and throw out the rest. Yeah, but What's the Song About? I really don't care what most songs are "about." I've always believed that pop songs are, first and foremost, about the feelings they evoke. When I hear one of my favorite songs, I get a weird chill, and something pleasurable happens in my head. Nothing said about the song should take away from that experience. When songwriters talk about what their favorite songs mean, I'm usually disappointed. I respect artists like Dylan and Babb, who seem preternaturally opposed to revealing even a shred of what their songs are about, or what they might mean. It's probably better that way. So I'm going to violate this rule with my new song, "Incident", which I just released for free at my ReverbNation page. I violate it because it's a story I tell when I play the song live, and it seems to add to, rather than subtract from, the enjoyment of it. The song is about a conversation I once had with my friend, we'll call him Bob. At the time, Bob was two things that he really didn't believe went together. He was 50, and he was single. So, if it's the 21st century, and you're fifty and single, and you don't like it, what do you do? Why, you go to match.com, of course. So, Bob signed up with match.com. He had to select a "radius," or how far he was willing to travel to meet with that special someone. He chose 20 miles and got a list of 15-20 possible women within that radius. He went through each of these women and, for one reason or another, none of them worked out. They were all too this or too that, and his communications with the few he contacted didn't go so well. So, what do you do when you can't find a love connection within your radius? Why, increase your radius, of course. So, Bob increased his radius to 50 miles, and he got a new list. But none of those ladies worked either. So he started getting crazy with his radius. He went to 100 miles, then to 200, then to 500. Pretty soon he was getting emails from women in Michigan, in New England, in Austria, in Southeast Asia. So, "Incident" is about Bob's experience with match.com, and about increasing your radius. Give it another listen and see if it makes more sense. If you want it to make more sense. If you've read Ghost Notes, you know who Betty is. What you may not know is, back in 2006 when I was submitting Ghost Notes to agents, one agent liked Betty so much she wanted me to rewrite the whole of Ghost Notes from Betty's point of view. This was both flattering (hey, she likes one of my characters) and disconcerting (there's no way in hell I'm going to rewrite the novel from Betty's point of view). It did, however, prompt me to include Betty in Ghost Notes' follow-up, which is called Good Night to the Rock 'n' roll Era, which I'm working on now. Betty is again a major player, but like Ghost Notes she's not the point of view from which the story is told. I liked bringing Betty into the new novel. It felt good to know that I already had this vibrant character ready to come onstage and get people's--even agents'-- attention. It was nice to think that at least that much would work even before the novel was started. But a funny thing is happening as I revise the new novel. Compared to the rest of the characters, Betty is somehow less than completely compelling and fully-realized. She's kind of snotty and boorish, and sometimes it's unclear what she really wants. My beta readers are backing this up. They like her the least of all the characters. So, what happened to Betty between Ghost Notes and the new novel? Well, not only is that the question, it's also the answer. I think I assumed Betty's character would stay the same from one book to the next. Ghost Notes is set in 1995, when Betty is 16, and she's pretty impressive for a 16-year-old, very brash and sure of herself, someone who knows exactly what she wants and goes and gets it. We like that in any fictional character. In the new novel, it's the year 2000, and Betty is 21, and I don't think I've done enough work imagining what life must've been like for her in those intervening years, and how she might've changed. In other words, Betty's pretty impressive for a 16-year-old, but not so much for a 21-year-old. So, I'm setting aside some time this fall to re-imagine Betty's later adolescent years. I will start writing what life might have been like for her at 17, 18, 19, etc., and try to be as specific as I can. Getting specific can be hard, as hard as novel writing, but none of this sketching will actually make it into the book. It's written solely to give me a feel for how Betty might act in the "present day" of my new novel. It's sad I can't write her like she's 16 anymore, because I liked her as a 16-year-old. Maybe I should've rewritten Ghost Notes from her point of view. Maybe I still will.